Don’t have time to shop the permanent collection. Or you’re now too poor to shop the permanent collection. It’s just the nature of the beast with MAC. If you indulge in one collection, it’s likely you’ll want something from the next. And the one after that. It’s a really crazy curse to break. Thank goodness, I haven’t been all too impressed with their collections because it’s been giving me a much needed break from the madness. Plus, a chance to finally pick up a few things from the permanent collection. Like Cheeky Bronze Mineralize Skinfinish. Ohmygoodness. So gorgeous! It’s a warm peachy bronze loaded with fine golden shimmer that had me swooning at the counter. Cheeky Bronze is going to be a killer highlight on brown skin! After the Vamplify high, I’ve been having a bit of a love thing with gloss lately. I came across these mini Lipglass and couldn’t help but to take 2 of those little cuties home. 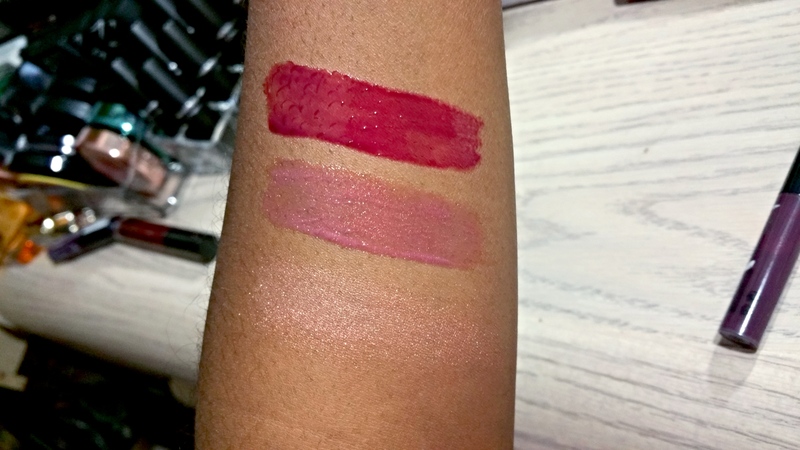 I chose Lovechild, a coppered plum, and Rebel, a cream plum. 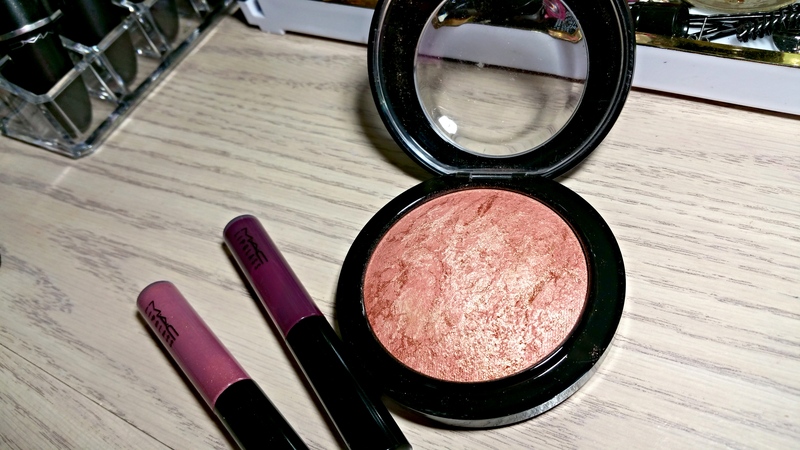 Two very pretty shades that are great for fall and suitable for any occasion. I’ve been wearing them both lately and I have to say I like them a lot. 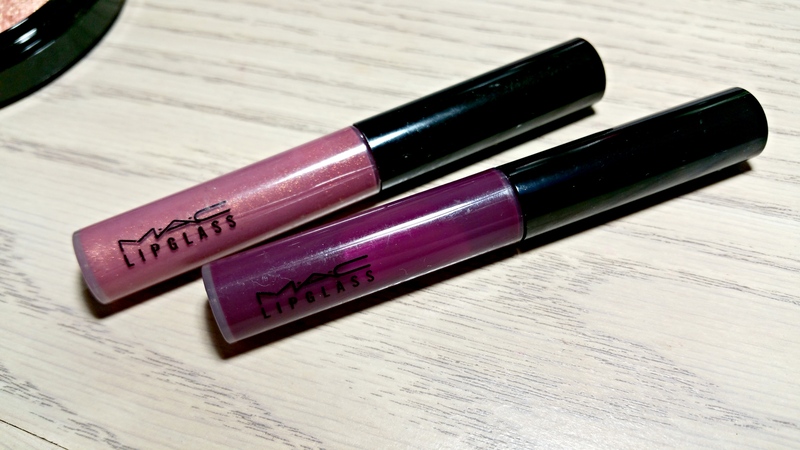 It seems that MAC has made their Lipglass formula thinner and less tacky which makes them even more of a joy to wear since they’re so pigmented. I’m still a little more interested in exploring all of the goodness other brands have to offer but I’ve made a mental note to revisit my MAC list more often. For the next haul, I’m thinking of getting Evening Rendezvous, Eyeshadow x 9 Burgundy Palette, Burnt Pepper and Sketch Blush. What permanent MAC products do you love? Cheeky Bronze is definitely on my list. It’s lovely. Lovechild and Oh Baby are my all time favorite glosses. 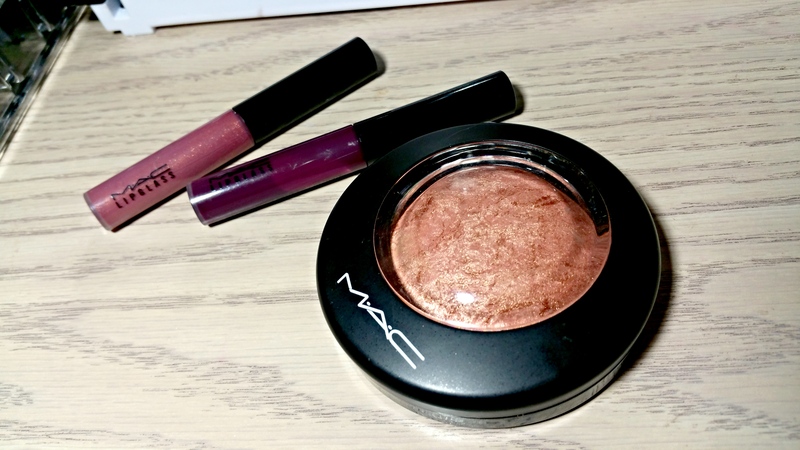 Cheeky Bronze and Format blush are my fave Mac cheek products.